At the beginning of the year the ‘1943 ring fence’ was removed by the Government whereby a man who had been in the industry for more than 3 months previously could only leave with the permission of the Minister for Labour. The NCB now believed that by keeping a man by compulsion, it did not improve discipline or morale. For the first quarter men left in droves but then it settled down to normal levels of wastage as before. Milk rationing ended on 15th January 1950. In February 1950 the Fatal Accident Scheme set up in 1949, came into force. It was hoped that this would stop the custom of stop working for a shift or more as a sign of respect for the dead, when a fatal accident occurred, as had been the system for many years. Under the scheme, a widow was awarded between £150 and £250. At Clipstone the ovoid fuel plant was closed on 4th February 1950. 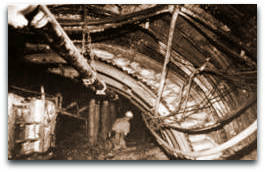 Clipstone No2 shaft deepening was finished by 26th February 1950. In March 1950 a coal plough machine was introduced at New Hucknall (Nottinghamshire). At Shirebrook (Derbyshire) a Joy slusher packer was introduced. The two plan examples above are just reference plans to show the areas worked in the Top Hard seam. They are not the abandonment plans for the mine although the numbers refer to them. This was an exceptional seam and all the colliery companies exploited it as it was quite thick at up to 6ft (1.8m) with a good top and its properties with several bands included steam coal, gas coal, coking coal, household coal, industrial coal and some areas included a band of cannel coal that could be used to produce petrol. As you can see in the top example the seam was worked right up to the outcrop in the west by small pits. 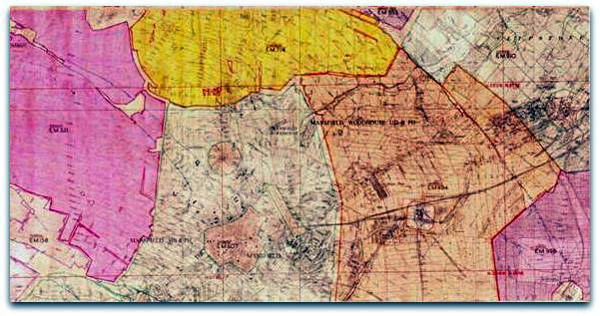 Teversal workings abandoned 1948 (mauve) has the number EM158 and is neighbouring Pleasley EM321 (red) to the northeast with Glapwell EM75 (blue) to the north. To the southwest of Teversal is Sutton Colliery 2123 and 8897 (Yellow), with two numbers denoting that the seam has been abandoned twice. 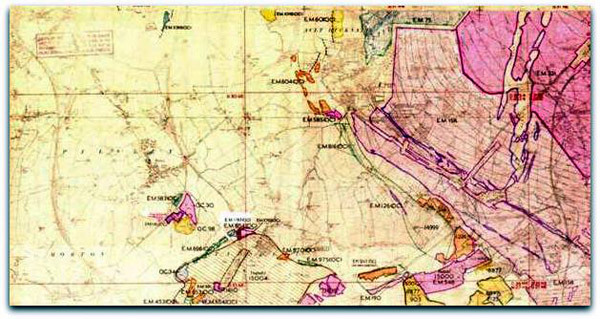 Further to the west and southwest are a few smaller mines and some outcrop workings. The second example shows how the Top Hard has been almost fully extracted by the collieries surrounding Mansfield town centre where only shaft pillars were left at the respective pits plus a large pillar of coal was left by Sherwood for the protection of the density of large buildings from subsidence in Mansfield town centre. Teversal workings EM158 (pale violet) and Pleasley workings EM321 (red) to the west, Shirebrook workings to the north (yellow), Sherwood workings EM607 to the left centre (green), Mansfield EM484 (orange) to the right centre, Clipstone EM910 (blue) to the northeast, Rufford EM998 (mauve) to the east. Several other seams would be worked in the same areas from the respective collieries but only to a fraction of the workings in the Top Hard. Another attempt at coal gasification was tried at Newman Spinney Killamarsh, north of Barlborough Hall (North Derbyshire) on 22/5/1950. This time the coal was ignited and allowed to burn and the resultant combustion gases given off were collected. It was later learned that the key factor to gasification was to do it at depth. Newman Spinney was too shallow. Petrol rationing ended on 26th May 1950 and the price went up 9d (3¾p) to 3s (15p) a gallon. 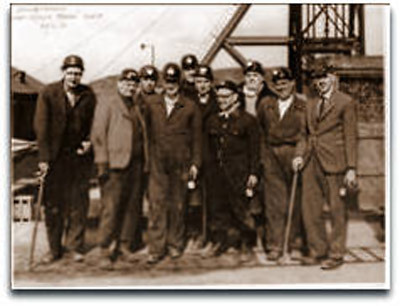 The party of officials in the photo headed by Harry Blakemore Bennett (2820) (Manager of Donisthorpe) (far left) had been underground at Rawdon on 24/3/1950 to see the Joy Continuous Miner. He would later be appointed as Area General Manager, No4 Area, Huthwaite, Nottinghamshire in the 1960s after holding several other management posts in the Leicestershire Area of the NCB. He was the father of a friend of mine H Brian Bennett (8306) latterly Deputy Manager at Shirebrook Colliery in the 1980s. In June, John Price aged 77 retired from Langton (Nottinghamshire)after 66 years service underground. HM Inspectors visited the collieries on a regular basis and would choose a certain underground district to go to, or visit surface installations usually accompanied by the Manager of the mine or other official. The bearing girder at the junction of the old compressor gate and the West Return required middle setting. The switches on Low Main 62s still required locking up. The locks were on order but had not yet arrived. 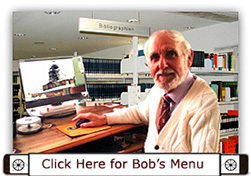 He was very perturbed about the lack of stonedust on this district and suggested that it be given immediate attention. This was despite repeated recent requests for this district to be thoroughly stone dusted by me. There was a major change at Bolsover (Derbyshire) in June 1950 when a Gloster Getter coal cutting/loading machine invented by W Vic Sheppard (2853) completed trials, with a total of six machines being installed later. Pleasley (Derbyshire) introduced one of the first Huwood power loaders in 1950, a further one to Silverhill (Nottinghamshire) later. 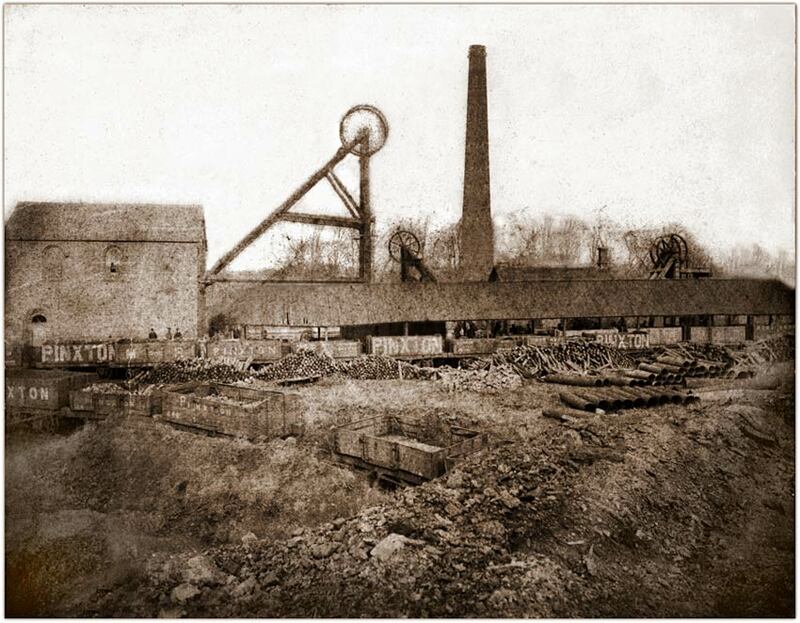 Composite mining was introduced at Ireland (Derbyshire) in 1950. It was nicknamed ‘Kick and rush’. Panels 110 yards (100m) long were developed in the Deep Hard seam and on each shift the face team cleared the coal, dismantled and re-erected the face conveyor belt cut the face line and packed and drew forward the powered supports. The Deep Hard seam at Annesley (Nottinghamshire), worked since 1914 was abandoned in 1950. 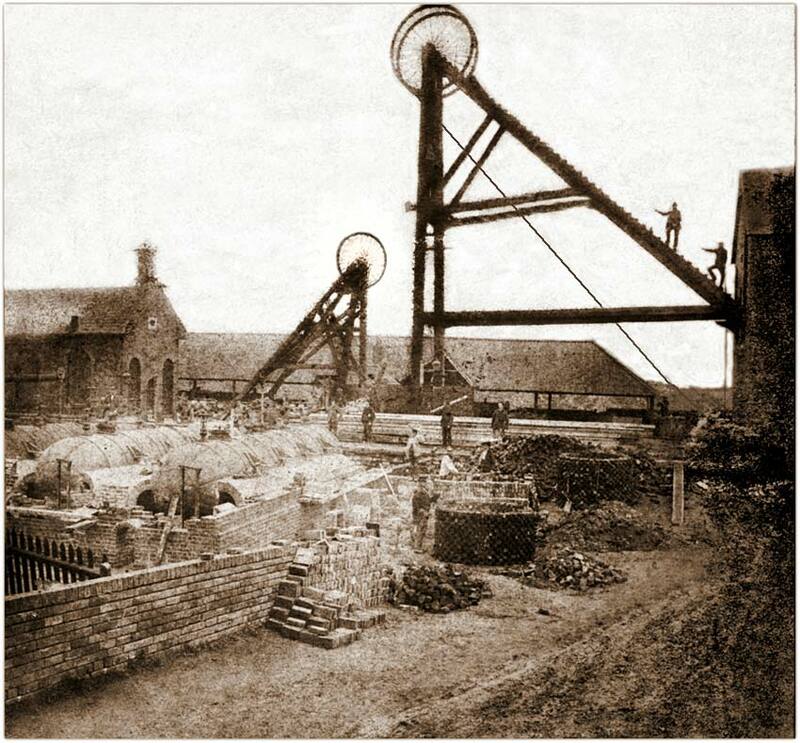 Pumping continued at Field Shaft, Shipley; Fords; Salterwood; Upper Hartshay; Shireoaks No3; and Trowell Moor (since 1928) 4/4 (where the Manager Chas Houston (4043) and Undermanager WN Bennett (2nd) working at the nearby pit were also responsible for the mine). In 1950 Harold Neal MP for Clay Cross was appointed as (Lab) MP for the new Bolsover constituency. He had begun working at Plumptre colliery near Eastwood (Nottinghamshire) upon leaving school and would become a Union official of the NUM before he was 20 years old. He lived next door to my aunt and uncle at Aldercar (Langley Mill) and I knew him well. The Coal Mining Subsidence Act 1950 required the NCB to be liable for cost of repairs to make good damage to certain dwelling houses (with a rateable value of £32) caused by mining subsidence. On 3rd August 1950, there was an outburst of gas at Mansfield Crown Farm (Nottinghamshire) in the High Hazles seam and 2 Deputies were overcome and died, (see report). At Thoresby (Nottinghamshire), fully automatic electrically operated skip winding was installed in August 1950. This was a great asset to the colliery and in the following years enabled the colliery to produce over 1 million tons every year. The one week holiday pay for 1950 was £7 16s 0d (£7.80) for adults, £6 5s 0d (£6.25) for 18 to 20 years and £4 14s 0d (£4.70) for under 18. Statutory holiday pay per shift was increased from 1st May to 26s (£1 6s 0d) (£1.30) for adults, 20s 10d (£1.04) for 18 to 20 years, and 15s 8d (78⅓p) for under 18. The annual holiday pay was determined by reference to the total wages bill of the previous year. No4 Sub-Area Manager: Frank M Joyce (844). 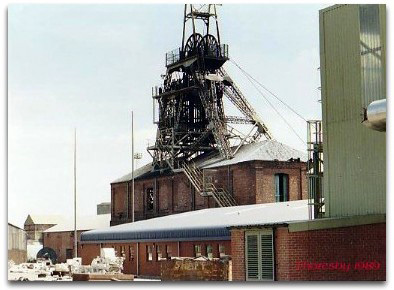 On 3rd March 1950, Pinxton No2 (Plymouth) pit (Derbyshire) was closed (Yard seam) after 120 years and merged with Brookhill, a single sunk in 1908-1909, as part of Pinxton (Pinxton Collieries Ltd). Other shafts sunk in 1836. The colliery lies to the West of Pinxton village. John Coke had sunk the first shaft in 1780. There was a demarcation to Langton. Brookhill pit bottom was under Langton management in the Silkstone seam. 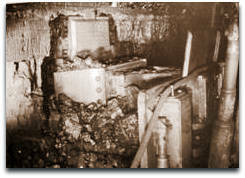 The old Plymouth No5 shaft was filled to the surface with clay, concrete and ashes in Oct 1930 and the No4 shaft sunk to Deep Hard in June 1933. No4 shaft was 348½ feet (106.25m) above sea level and No5 shaft 354½ feet (108m). 1950: 4,431 tons, 37 men.